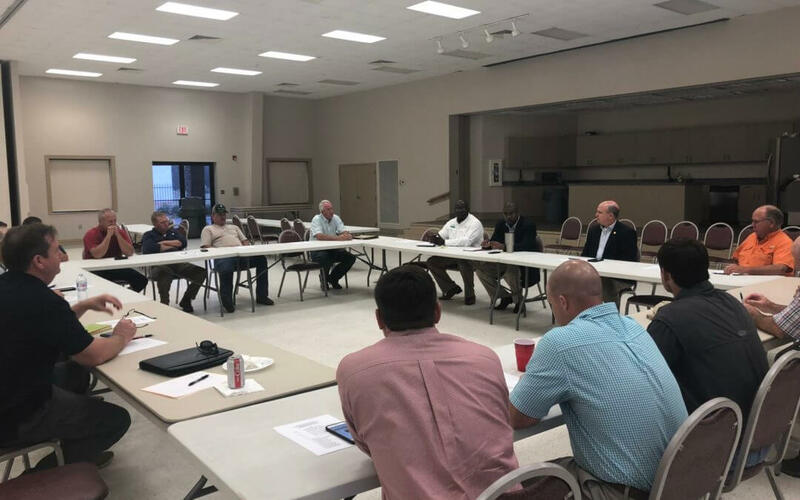 On Monday, the Mississippi Farm Bureau Federation held a south Mississippi producer round table with state conservationist Kurt Readus and staff with the USDA-Natural Resource Conservation Service (NRCS) to discuss ongoing conservation programs available to farmers and ranchers in south Mississippi. Discussions focused on what conservation programs are available for many of the commodities produced in south Mississippi, which program areas are underutilized, and what needs currently exist in the field. Federation President Mike McCormick was pleased with the information shared at the meeting.